Craig is a tenured leader who has served in pastoral roles and church planting in Greater Charleston since 2003. He is native of Miami, Florida and met and married his wife Rebecca while in Bible College in Atlanta in 1987 . Their four adult children now make their home in Greater Charleston and Savannah. Their first grandchild is a Georgia girl just a two hour drive south. Craig most recently served as Lead Pastor of Centerpoint Church, a church plant of the Charleston Baptist Association. Recently, Centerpoint Church became the new and repurposed Citadel Square Baptist Church. He and Rebecca actively serve in leadership and ministry at Citadel Square. His education includes a bachelor's degree in Pastoral Ministries and two master’s degrees in Christian Leadership. Neal is passionate about developing leaders and teams that make a difference in their churches, communities, and cities. Neal McGlohon is the lead visionary/presenter for The Cypress Project. Neal has been a church planter, church planting network leader, city reaching catalyst, denominational church planting strategist, HUB director, and is co-founder of The Cypress Project. For the CBA, an opportunity exists to take the principles and practices of gospel presence and gospel purpose (‘missional DNA’) onsite with congregations and leaders to assess, envision, and equip toward greater mission impact in their geography, primarily leveraging Immersion Events, Coaching, CBA Team contribution and Support Resources. Neal’s education includes a B.S. degree from University of Georgia and a Masters of Divinity from Southwestern Baptist Theological Seminary. He is also a trained leadership coach and adjunct professor. Neal and his wife, Joy, have one son, Brandon who is in Greenville working for Grace Church, and a married daughter PJ who is in Charlotte. Ethnic groups are becoming a significant part of our growing population in Greater Charleston. The Charleston Baptist Association has been connecting local churches with Pastor Jerry Zapata and a team of apprentice leaders to establish new church plants. Since 2017, Pastor Jerry Zapata has been offering biblical training to develop leaders, preachers and missionaries here in Greater Charleston. Pastor Zapata has joined in with the CBA and has created partnerships with CBA churches. There are currently 30 ethnic leaders who are meeting monthly to participate in this strategic development track. Pastor Zapata is native to the country of Colombia and is a tenured leader who has served in vocational church ministry for over 25 years. He and his wife, Berly have made Greater Charleston their home once their first church plant was initiated back in 2016. Pastor Zapata functions as a developer of leaders and a strategic coordinator to reach ethnic minorities through planting the Gospel in communities through everyday residents of Greater Charleston who assume the call to live as missionary Christians. Adrian & Lindsay Fernandez are interning under Pastor Jerry Zapata in church planting Ethnic Ministry in Greater Charleston. Adrian is native to Costa Rica and has a Bible College degree. Lindsay is a graduate of Global Studies from Liberty University and has been a resident in Charleston for the past 15 years. Over the past 7 years, they have served together in short-term mission outreach in Costa Rica. As a newly married couple, it is their goal to serve together as missionaries to the ethnic groups in Greater Charleston. They will share through local ethnic churches in ministry opportunities such as ESL, outreach events and personal discipleship. 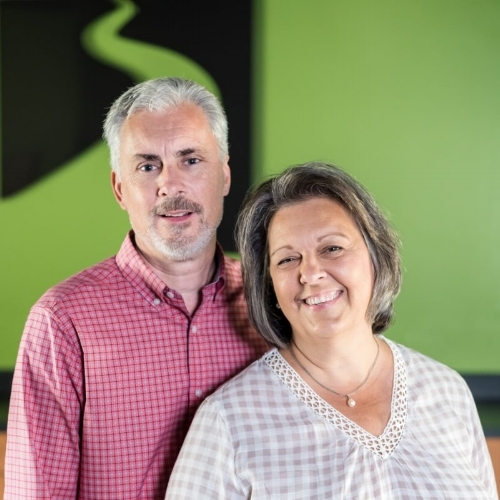 Leila and her husband, Todd, are members of Citadel Square and are actively involved in serving and building community with others in their community group. They have lived in the Greater Charleston area since 2015. They have three adult children and two grandchildren. Leila’s love of efficient procedures and creative communication as well as a passion for people provide added strength to our team. Marilyn comes from Raleigh, N.C. and attended Winthrop University. 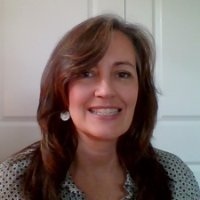 She spent 2 years in New York City where she was involved with the Metro Baptist Association and focused especially on international ministries and volunteered with International Students Inc. Marilyn is married to Joshua Austin, Director of Baptist Collegiate Ministries in Charleston and has lived in Charleston for 4 years.